If it’s three tiered and has Mini Eggs on top of it, then we’re totally into it – well done Sainsbury’s, what a beaut! Just when you thought a Rocky Road couldn’t get any better, blogger Taming Twins throws a Crème Egg on top of it – pure perfection. Sorry, if this isn’t the dream then we don’t know what is. 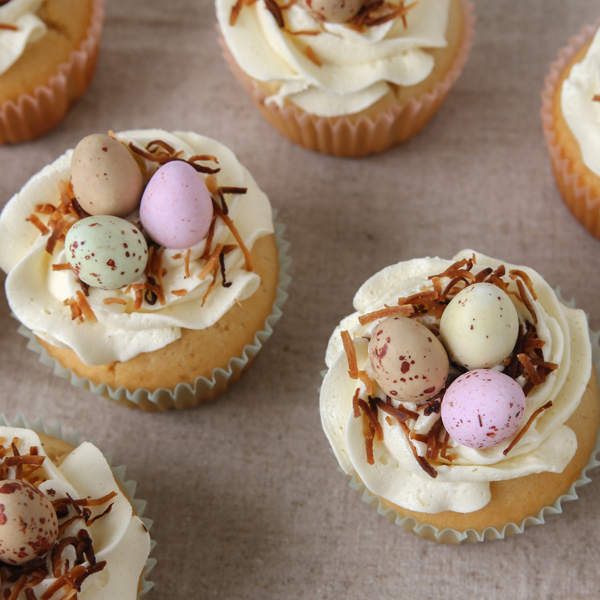 A soft, moreish cupcake with a Crème Egg surprise at the bottom – delightful! Not technically an Easter bake, but we’re all for a decent slice of Carrot Cake. Again, the best things in life come in three tiers and this looks extra delicious.